Every now and then, something new pops and I’m like, “wow!” So here’s some of that: intentionally boozy kombucha (we’re talking 7% ABV here, folks) that’s in cans. If you read this blog then you know I’m all about trying new things, so I’m personally pretty excited to see how this “booch” is. Hey, I may even share my opinion (something I don’t do often)! In any case, check out the official press release for Boochcraft’s 4 new 12 oz cans (2 new flavors, 2 classics) coming to a West Coast city near you. San Diego, Calif. (April 1, 2019) ― Boochcraft, makers of handcrafted hard kombucha and the market leader in the ‘better for you’ alcohol category, has introduced 12-ounce cans and two tantalizing new flavors to its offerings. The cans, available in four unique flavors, will hit store shelves in major grocers and beverage retailers throughout the majority of the West Coast beginning April 10th. Every Boochcraft blend contains all of the traditional health benefits of its low alcohol counterpart but with a seven percent alcohol by volume (ABV) punch. Using only certified organic ingredients, it is gluten-free, raw, vegan, contains living probiotics and is sure to please any health-focused individuals who still want to enjoy a little bubbly buzz. (New!) Orange Pomegranate Beet – Robust pomegranate is melded with slightly sweet, lightly tart oranges and complimented with earthy beet root and a delicate bloom of savory rosemary. (New!) Lemon Maple Thyme – Zippy lemon and a dry minty aroma of thyme are balanced out by perfectly sweet maple syrup. Grapefruit Hibiscus Heather – Sweet yet biting grapefruit juice colored delicately pink with hibiscus adds a deep, rich cranberry backbone while supplying a subtle strawberry finish. Ginger Lime Rosehips – Spicy fresh pressed ginger juice and lime juice are paired with bright, zesty rosehips. 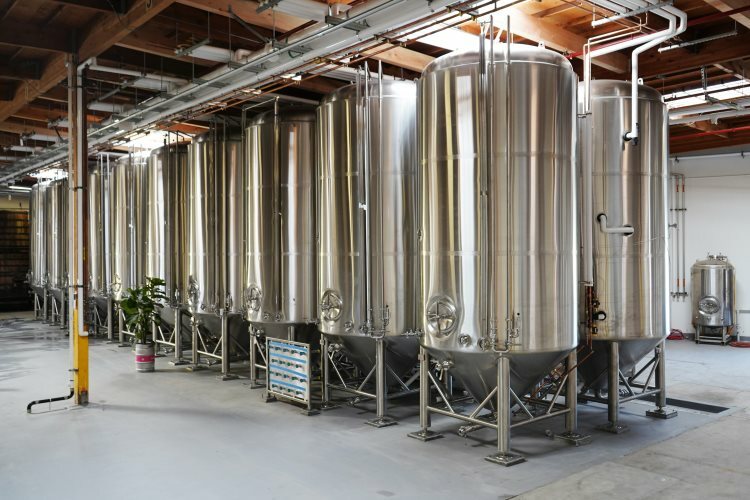 A testament to its unprecedented growth and innovation, Boochcraft recently expanded into an impressive 18,000 square-foot brewery located in its home base of sunny San Diego, California. The brand-new facility houses the new canning line, along with two refurbished 160-gallon foeders, top-of-the-line equipment and a beaming brew crew that runs this 70,000+ barrel per year operation. An additional 4,500 square feet will be utilized as office and multipurpose space where you can enjoy a boozy kombucha party…and the day after. The new spot augments an existing 5,000 square feet of production space, for a combined 27,500 square feet of booch-brewing magic. Sustainability and community are core parts of Boochcraft’s mission and values. In the brewery, the brewers compost all of the juice and tea scraps, source produce from local California farms and are committed to finding innovative ways to conserve resources and limit their waste. The company gives back one percent of gross sales to nonprofits that promote sustainable food systems and even helped create a program called Farm to Families that is dedicated to bringing fresh regenerative produce to underserved families. The rollout of cans coincides with the brand’s expanding distribution footprint throughout the West Coast, notably the arrival in all major cities in Northern, Central and Southern California, as well as Phoenix, Arizona and metropolitan areas of Washington and Oregon. Retailers include Whole Foods Market, BevMo, Raley’s, Safeway, select Walmart locations, other conventional and natural grocery stores and dozens of restaurants. The new refreshments are priced at $13.99 per 4-pack. They officially launch on April 10th and will be readily available by the end of the month. Select Boochcraft flavors are also available in sleek 22-ounce glass bottles (SRP $7.99) and 1/6- and 1/2-barrel kegs. To learn more and find out where to purchase, visit www.boochcraft.com. Years in the making and born out of a garage in San Diego’s Ocean Beach, Boochcraft officially started selling high alcohol kombucha in spring of 2016. Boochcraft contains all the health benefits of traditional kombucha, while packing a 7% ABV punch. Every batch is handcrafted using raw, organic ingredients that are carefully sourced directly from local farmers and brewed in San Diego by a stellar brew crew. In addition to its insatiable passion for brewing, the Boochcraft team is avid about giving back to the community by supporting programs like Farm to Families, a program at Wild Willow Farm that was co-created by Boochcraft to bring fresh regenerative produce to underserved families along with nutrition, cooking and gardening education. Boochcraft is sold at select grocery and beverage stores as well as restaurants throughout the majority of the West Coast.